There are few beer styles with deeper roots in the American craft beer movement than porter. Present from the very beginning of this country’s beer renaissance—Anchor has been producing Anchor Porter since 1972, if you can believe that—it has been a bellwether of its times. In its earlier days, porter reflected the English beer style of its inspiration. As time passed, it was Americanized in the way of so many other styles—made bigger, bolder and hoppier, blurring the already nebulous distinction between “robust porter” and “American stout.” Like stout, it too was flavored and imperialized. But still, those classic porters hung around as well. Today though, porter has become a bit more complicated. 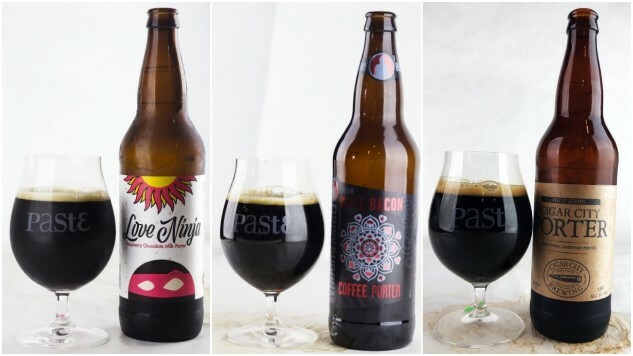 Although it’s a style still used by many breweries to offer a session-strength dark beer (and avoid confusion, if they already have an imperial stout, as most do), it’s also been treated as a canvas for experimenting with adjuncts and flavorings. As the number of breweries in this country continues to increase, flying past 6,000 in 2017, the race to find and exploit ever “nichier” niches becomes increasingly paramount. Or in other words, not every brewery can just produce a simple “porter,” or none of them would have the market share to succeed. And thus, a bunch of porter sub-styles have emerged, often after one beer becomes popular and spurs on dozens of imitators. Take “coconut porter,” for instance—industry wide, there’s a fascination with this combination. Likewise with “peanut butter porter,” which can be found at numerous breweries in specific cities such as Huntsville, Alabama, where it’s something of a local fixture. And of course there are so many more: Hoppy porters, coffee porters, vanilla porters, chocolate porters, barrel-aged porters, etc, etc. More than 45 years after Anchor introduced their porter, there are more versions of this style available than ever. So let’s get tasting, shall we? As in most of our blind tastings at Paste, the vast majority of these porters were sent directly to the office by the breweries that choose to participate, with additional beers acquired by us via locally available purchases and the occasional trade. We always do our best to reach out to breweries we’re aware of that make exemplary versions of particular styles, but things always do slip through the cracks. We apologize for a few significant omissions that we couldn’t acquire, either due to seasonality or market shortages. There will never be a “perfect” tasting lineup, much as we continue to try. - This is a tasting of porters under 8% ABV, largely determined by how the breweries chose to label their products. All beers had to be labeled as “porter,” but no baltic porters were accepted—this style is traditionally a lager rather than an ale, with many examples stronger than 8% ABV. When in doubt, we simply allow a brewery’s marketing to define a beer’s style, and expect them to stick to the designation they’ve chosen. - All types of adjuncts and flavorings were allowed. The porters could even be barrel-aged, as long as they were under 8% ABV. Porters stronger than this were included in our blind imperial stout tastings. - Tasters included professional beer writers, brewery owners, brewmasters and beer reps. Awesome, Paste-branded glassware is from Spiegelau. - Beers were judged completely blind by how enjoyable they were as individual experiences and given scores of 1-100, which were then averaged. Entries were judged by how much we enjoyed them for whatever reason, not by how well they fit any kind of preconceived style guidelines. As such, this is not a BJCP-style tasting. Most of the porters here in The Field were perfectly serviceable, although in general, this is a style that drew some lower average scores. Some of them were simply not assertive enough to rise above the pack in a field that is increasingly dominated by adjunct beers. Others were just bad examples of adjunct-laden porter, sickeningly sweet or overwhelmingly flavored. Those entries were certainly proof that you can’t just dump a bunch of artificial flavoring into a standard porter and bottle the result. As always, the beers below are simply listed in alphabetical order, and as a result they are not ranked. I repeat: These beers are not ranked.